One of the perks of managing your own translation projects is that you have a lot of control over the works that you translate. Figuring out what to translate can be a time-consuming process (I think for my last project I spent at least a month of my free time on it), but at the same time I really enjoy it––it’s sort of like being a kid in a candy store. I have talked about the process of story selection for several of my projects (here and here), but I decided it would be interesting to write a post about the process of story and author selection from a high-level viewpoint, in the hopes that those interested in translation might find it useful. I like to think of this process as a form of “curation” and involves playing several roles: a translator, a publisher, a book agent, and even a marketer. First things first, I want to lay down the objectives of the act of curating fiction for translation. To find stories that are enjoyable for me to translate. Of course, it may be hard to fulfill all these objectives, so they can be given various weights and priorities. The only thing that is really set in stone is the “legally and morally appropriate” part. Given the “legally appropriate” objective above, it’s critical that legal rights can be obtained to publish the work(s) that are selected, whether for listing on this blog or in some other format like a printed book. Works which have entered the public domain are of course ideal, since obtaining rights to publish those works should be easy (it’s more complex than you think though, see this article). You’ll also have a reasonable chance to get permission from authors who have never been published by a formal publishing company, though in rare cases I have been turned down. Finally, for authors who are published, especially those are famous, your chances of getting permission are probably slim. Keep in mind that in all cases there might be money involved (that you pay), or other conditions set as part of an agreement with the author or author’s surviving relative(s). Related to the likelihood of getting rights is how easy it is to contact the rights holder (publisher, author, or author’s surviving relatives). Being able to communicate directly with the rights holder via email is much preferred as opposed to having to write a snail-mail letter and potentially wait weeks (or months) for a response. Of course, if it’s a lucrative project then it might be worth the wait, and while you are waiting you can continue your curating for other authors. Stories that are hard for you to understand are risky in several ways. First, they will take extra time to translate. Second, there is a higher chance of translation inaccuracies. Finally, even if you manage an accurate translation, the end result may just not be enjoyable (except for readers who really like that specific style of writing). Here “readers” refer to the refers of your translated text, not the original. This is one of the hardest factors to judge since it involves a deep understanding of the demographics of the target audience. A story that uses frequent cultural references of relies on cultural assumptions may be hard for the reader to understand without detailed translation notes (and some readers will probably never read those even if they were given). On the other hand, if you can use the freshness of a certain cultural element to sell the story and make it stand out, it might be a good thing. Another thing to consider is red flags that go off when you are reading the story. This could be things like outright sexism, prejudice towards a certain race or culture, or other politically-incorrect things. The presence of these doesn’t necessarily mean you should avoid the work (the shock element could help to sell the work), but you need to be prepared for possible reader backlash. Worst case, you might have to remove your work from publishing if things got too heated up. This is where the “morally appropriate” part factors in, though that totally depends on your own personal morals. This is related but not exactly the same thing as the difficulty of the text, because some things that are intuitively understood may be hard to render into the target language (English in my case). Stories involving special domains––like medical, legal, or technical––will generally require more time and effort to translate. The age of the work(s) factors in here, since older works are more likely to be hard to not just read and understand, but to translate. The length of the work(s) influence not only the time for translation and editing, but potential costs for publishing in certain formats, like as a paper book. If you find an awesome project but predict it will take 3 years to complete, please excuse my pessimism but there is a good chance you’ll quit before you reach the finish line. This depends on how much time you have and your level of confidence in how quick you can deliver (as well as how much you trust your estimation abilities). If in doubt, I recommend starting with a very small project. Short stories are especially convenient because of their short length. But you have to think about how you are going to group them when you publish, assuming you are publishing several together (in a collection, for example). Are you going for the “best” stories by that author, or those with a certain theme? Or are you going for stories that you just personally found to be interesting? It’s important to understand how popular a story was in its source language, or (if applicable) how well they sold. You can’t always get this information directly, but you can make inferences based on things like reviews online. The content of the reviews can tell you what people liked about those story(s), and you can think about whether your target readers will feel the same way. Stories on free-to-read sites like Kakuyomu are the most convenient, since you can simply check how many likes and comments they have, as well as their story ranking. It’s important to find out whether each story you decide to translate and publish has been published before, in what form(s), and when. If you are lucky, the author in question may never have had his or her works translated into English (though I guess you could also take this in a negative way). If a translation for a certain work was published before, is there a good reason to retranslate and republish that work? If the existing translation(s) are old and/or of dubious quality then maybe it makes sense. But if the translation(s) are by a well-known translator then you are probably wasting your time, unless you have good reason to believe there are significant translation errors. However, I generally don’t recommend reading any existing translations since it can bias your own translation. While you might think a quick search on Google or Amazon is enough to verify previous translation status, the process can actually be quite involved. One reason is that often the names of stories are not publicly available, though if you ask the publisher they should be able to give you a list. Multiple translations for a given title makes things even more complex. Sometimes you may find a work has been translated, but it has been modified or adapted in some way. One thing to keep in mind is that even if the work has been published, it may be out of print and difficult to acquire. In such cases, it might be a good idea to at least publish your translation as an E-book so it can be widely accessed without having to go to a library somewhere. The media of the source text can significantly affect your translation workflow. For example, if you only have a paper book you’ll probably have to manually type in the text into Word (or whatever tool you use) so you can do an easy visual comparison on the same screen. On the other hand, if you can cut and paste the text from somewhere on the web, it will save you hours of transcription (and the possibility of transcription errors that lead to translation errors). I remember once when I made a mistake in a translation involving a misread kanji character. Normally I try to cut and paste, or use the E-book dictionary function if I am not sure of a word, but in this case the source text was only available in a scanned image format. In theory, I could have still double checked visually, but it was extra work to do that as opposed to just cutting and pasting. I have leveraged audiobook versions of a few works in order to get a better feel for them, and to make it easier to do a first quick read (or should I say listen) through. 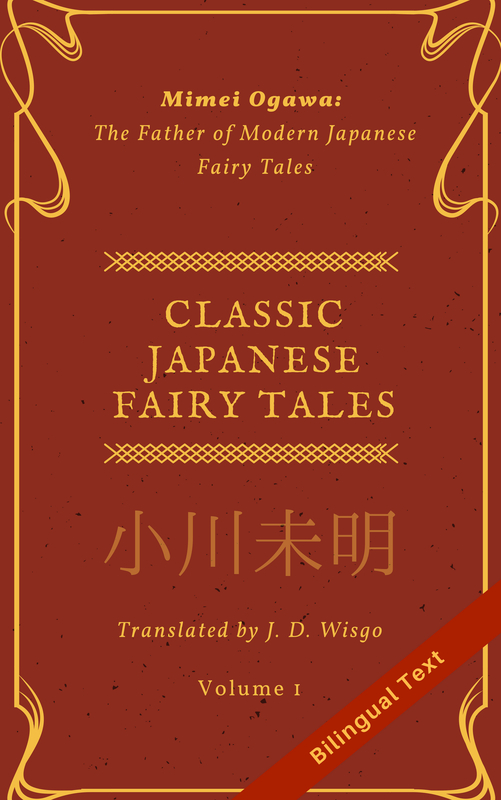 Audiobook.jp is one site that has some Japanese audiobooks available for purchase (review). For some especially popular works, like those by famous authors who are now in the public domain, you can find audio narrations free on Youtube. However, for any translation I am going to actually publish I would want a printed version as well (after all, you can’t ‘hear’ the kanji). If you are considering having another company publish the work(s) its good to know what their requirements are. For example, many magazines have word count restrictions and certain types of stories they prefer to publish, or prefer to not publish. Even if your initial strategy is to self-publish (or simply put your translation on something like a blog), there is always a chance you can have it published at a later time in a magazine that accepts reprints. It’s good to have some idea of how much money, if any, you’ll make from a translation project. For self-publishing books, I am not sure if there is anyone who can really tell you in advance how well a book will sell. But in cases where you are submitting a story to a magazine, there is generally clearly defined payment rates based on word count and other things. However, if you are reading this, odds are you are near the beginning of your translation career and may care more about the experience and getting published than whatever compensation you might get from it. If an author has particular historical relevance, that can be an extra motivating factor to translating and publishing his or her works. For example, two of my books are translations from an author known as the founding father of Japanese science fiction. Putting aside any financial compensation that you may be receive from selling translations, I think there’s something to be said for making a historically relevant work available to a larger audience. You can give these thirteen factors different weights depending on your goals, abilities, and tastes. Even if you are doing a translation project just for practice and don’t plan to publish it anywhere, you can use some of these factors to help guide your decision process. Although I didn’t include this in the list of factors above, I always hope to work on translation projects for which I can be proud of the result, and feel good about.